Five men on a decrepit moped, overloaded cars with cargo secured with makeshift means, people selling vegetables and sheet metal on the street, and sand colored red by iron oxide that seeps into your shoes no matter how careful you are: These were the first impressions Henkel employee Dr Inga Vockenroth had on the way to Akumalam. Dental hygiene is also an important part of a child’s education, as Inga Vockenroth sees it. She taught a lesson on this subject in the village school in Akumalam. Vockenroth, who is a manager in the research and development department for dishwasher tabs, has been supporting the village school project in the northwestern part of Cameroon for ten years already by collecting donations. Her dream of visiting Akumalam only became a reality a decade later. 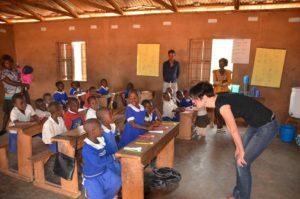 The board of the registered organization named “Dorfschulprojekt” (village school project), to which Vockenroth also belongs, had set itself the goal of fostering the well-being of people in the rural regions around the city of Bamenda. Education for these people plays the key role here. Daily life in Cameroon: Five men on a moped. “In February 2016, it finally happened: my first trip to the village we had been supporting so long with so much dedication,” as Vockenroth relates. 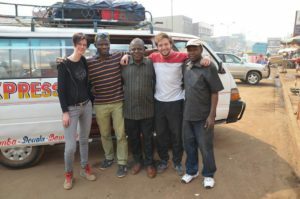 “I set out on the trip along with my friend Dr Anye Chifen, who is from Cameroon and who had founded the project in 2003, his five-year-old son, and Dr Luis Duque, a friend from Spain. I did my doctoral work in Mainz at the same time as Anye. He had established this organization shortly before that. I was immediately impressed by his commitment, so much so that I decided to get involved in the project myself,” Vockenroth remembers. 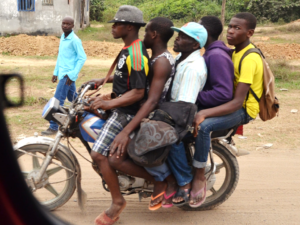 Anye Chifen comes from Bamenda, a city near Akumalam with a population of 450,000. He knows Akumalam well, as part of his family lives there. 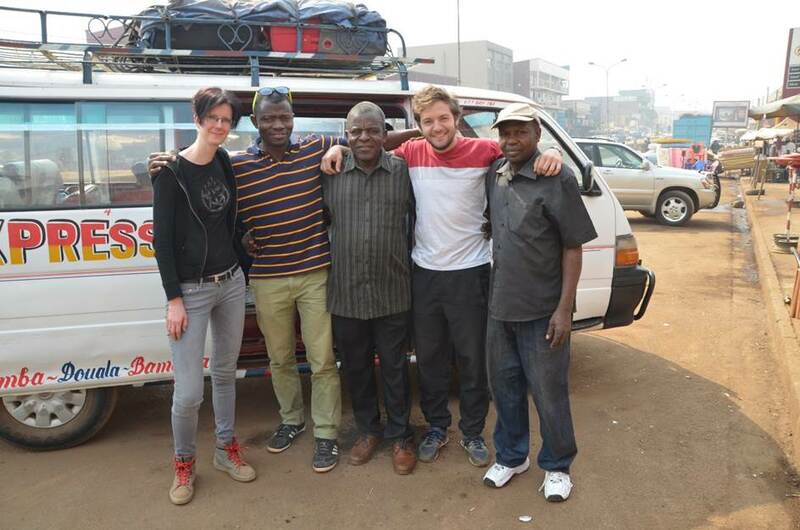 From the left: Inga Vockenroth, Anye Chifen, his father, James Sama Chifen, Luis Duque and Henry Chifen, Anye’s uncle, who lives in Akumalam. The village of Akumalam, with its two thousand inhabitants, is located in the northwestern part of Cameroon, only 40 kilometers from Bamenda. 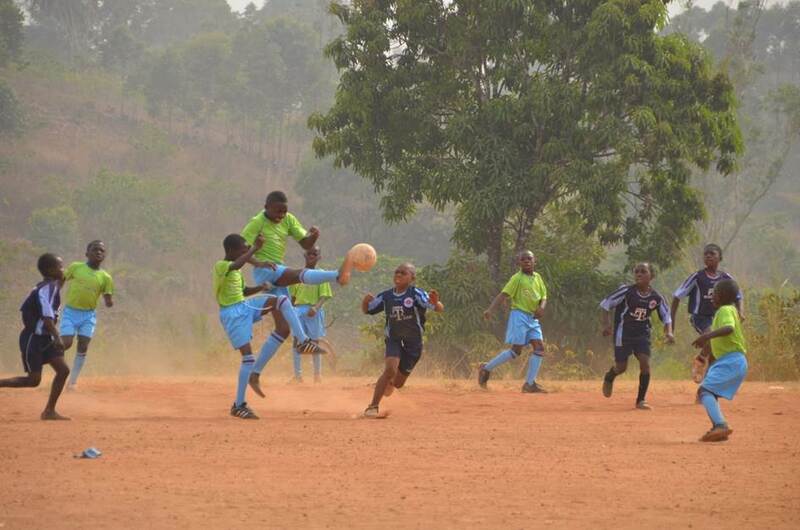 However, the villages that surround it do not profit from the growing prosperity in Bamenda. Most of the people in the rural regions live in poverty, without any perspectives or work. This is the case in Akumalam, too. There is an elementary school in the village. Before Vockenroth and the other members of the organization became involved, however, it was not even being attended by 30 percent of the children. “Often this was made impossible by the school fees that amount to the equivalent of 28 euros annually. Compulsory education may exist in Cameroon, but if the parents are unable to pay the fees, the children simply do not go to school. This is why we used the first donations we received to pay the school fees for the children in Akumalam. 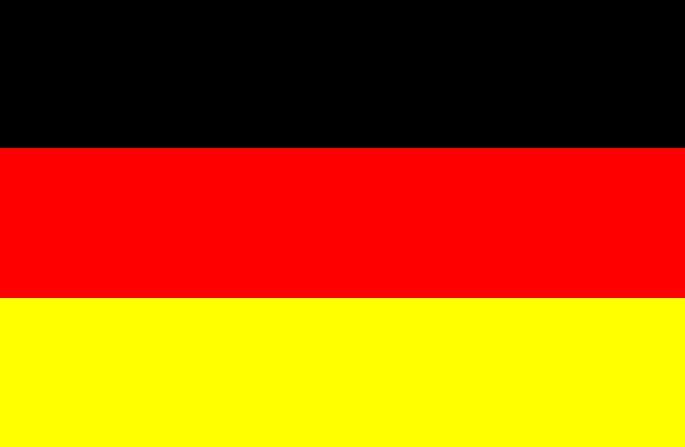 Now the 115 school-age children from six to twelve years of age all attend the village school in Akumalam,” Vockenroth reports. The increase in donations made it possible to pay the school fees for children in three other schools. 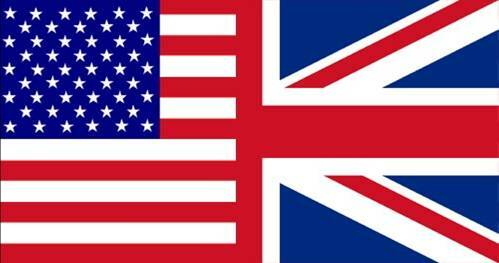 They are located in neighboring Alatakoh, Alabukam and Chomba. “Currently we are paying the school fees for 120 school-age children every year,” says Vockenroth. 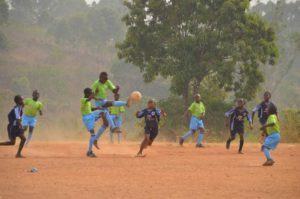 “Despite a temperature of 30 degrees Celsius and the glazing sun, the children raced around the soccer pitch and had lots of fun. It was great,” says Vockenroth. As a result of additional donations and support by the Henkel “Make an Impact on Tomorrow” (MIT) initiative, the project has continued to grow. A library was opened in 2012, for example, and in 2016 it was a sewing center in which girls and women are able to complete a three-year training program as seamstresses. “Construction of the sewing center was particularly dear to me, since I love to sew myself,” explains Vockenroth. “The school uniforms for the children can now be made there inexpensively, and the village people don’t have to spend a lot of money to buy them. 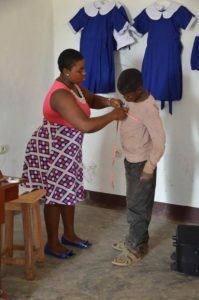 In fact, the sewing center has developed to the point where the apprentices are now able to make more school uniforms than are actually needed in the village. They are then sold in the neighboring villages. So they have already been able to make a little profit. In the long term, our goal is to make it possible for the people of Akumalam to become self-sufficient.” To accomplish this, there are plans to expand the sewing centre in the future. The seamstress takes the measurements for a new school uniform, as such uniforms are required in schools in Cameroon.